Apple is hiring! Act fact as these positions won’t last. This is a work from home position with multiple openings, and you can live in any city across the US – you do not need to live in the city this is posted in to be considered. We expect everything from an Advisor that our customers do and we want Apple to be a reflection of the world around us. As an AppleCare Advisor, you’ll be supporting many of our popular products, from iPhones to iPads to MacBooks to desktop Macs. As our customers’ first point of contact, you’ll be the friendly voice of Apple, providing world class customer service, troubleshooting, and technical support. We’ll rely on you to listen to our customers and use your technical knowledge, creativity, and passion to meet their needs — and remind them that behind our great products are amazing people. Because we believe our individual backgrounds, perspectives, and passions help us create the ideas that move all of us forward. We’ll train you to be the best. This position comes with competitive pay, great benefits, eligibility to participate in our company stock plan, time off, and employee discount. • Available to attend approximately 5-6 weeks of required training on a fixed schedule that may include weekends. • Flexible to work between the hours of 7:00 a.m. CST and 10:30 p.m. CST including weekends and holidays, with the possibility to flex up or down hours depending upon business needs. • Successful completion of a pre-employment assessment and background check. • Successful completion of initial training. • Able to meet minimum typing speed of 40 WPM while talking with customers. AT HOME REQUIREMENTS • A quiet workspace, ergonomic chair, and desk. • High-speed Internet service (5 megabits download and 1 megabit upload) from a reliable provider. Did you apply when Apple was hiring? 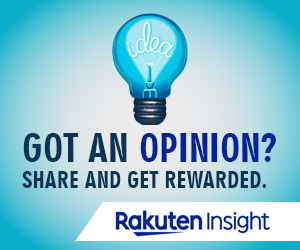 Share you opinion and experience below. Want to share with someone who might be interested? Let your friends know Apple is hiring!